Soccer, also known as football overseas, originated in the Old World, both in Ancient China and Japan and also in Europe’s Roman and Greek cultures. Boys kicking balls became men kicking balls with fierce competition and wild masses which thronged playing fields. By 1800 women got into the game in Europe. It became a serious sport during the 20th Century. At times, civil authorities and church authorities spoke against women participating in the game. Crowd size matters though. The Football Association of London became threatened in 1921 when a women’s game attracted a crowd of 53,000 people. The Association placed a ban on women playing soccer lasting 50 years. After World War II the ban was lifted because of outside European criticism. Sweden was a country which took off running with women fiercely kicking the ball. 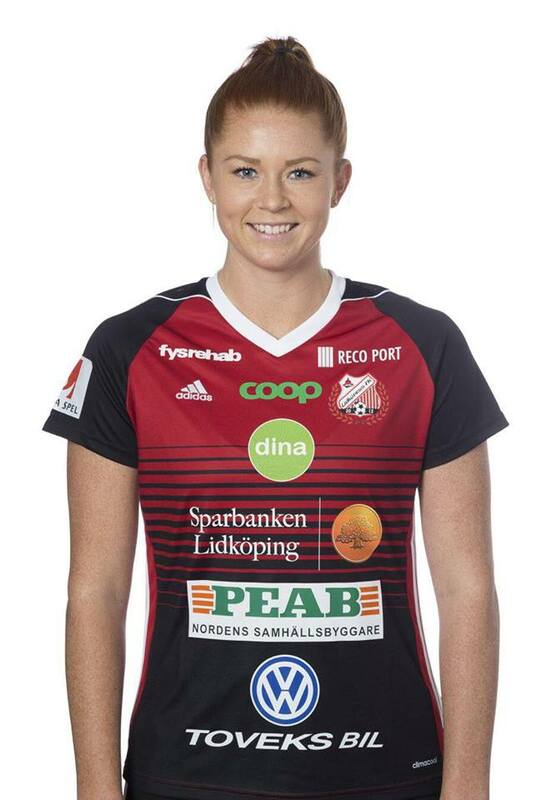 Today, Sweden is host to Taylor Townsend, a Jensen Beach, Florida native who plays professional women’s soccer. At six-foot-tall, the beautiful red head stands out on the field and always has since age seven when she began playing with the Jensen Beach Soccer Club. A home-school student, Taylor studied independently and continued kicking with the Team Boca Soccer Club, which won her scholarships to the University of Central Florida and Florida Atlantic University. Taylor has also played on a semi-pro team in Canada and professionally in Peru during 2016. 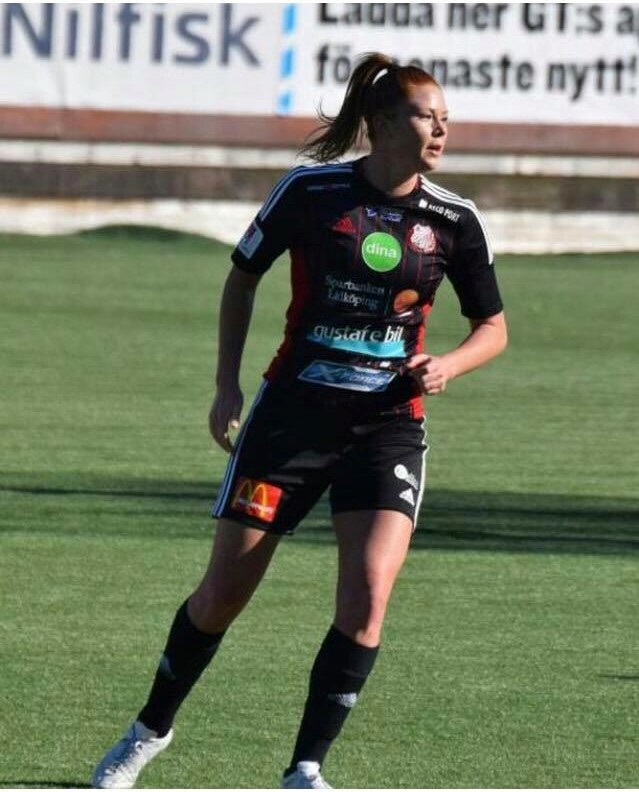 Only a few months ago, she was picked up for a professional team in Lidköping, Sweden, where the women’s sport packs stadiums more than many of the men’s games do. At times, Taylor has played in very cold temperatures, once at 15F. On the field Taylor plays center-middle and has a dynamic kick. In Sweden Taylor rooms with another player, a Chicago native. The women are provided housing, meals, travel expenses and a small stipend. Taylor states that approximately 10 percent of United States women’s soccer athletes continue on to the professional level after university, due to injuries, exhaustion and lack of finances. A woman can only play a few years before she ages out. Currently, in the United States, there are only nine professional women’s soccer teams. Only housing is provided with a very small monthly stipend. For these reasons, professionals sign with foreign teams. When Taylor was 14 Taylor told her mom, Jeanie, “I want to play soccer, I mean, really play soccer.” Travel clubs began and her father took her to a local park field to practice every day. It hasn’t been easy to travel so much, completing school assignments on the road, and now being so far away from her parents, but Taylor says her faith in God, who gave her the passion to play soccer, has gotten her through some dark times. Her mother, Jeanie, has been available to give her moral support, and her father has always encouraged her. In addition, Tom Power of Power Coaching in South Florida has provided coaching support to Taylor. Taylor states her goal is to play at the highest level possible and end on a right note, so that her body doesn’t get abused by playing for too many years. At Florida Atlantic, Taylor studied communications and coached soccer. After she retires she plans to use her soccer skills to continue coaching.